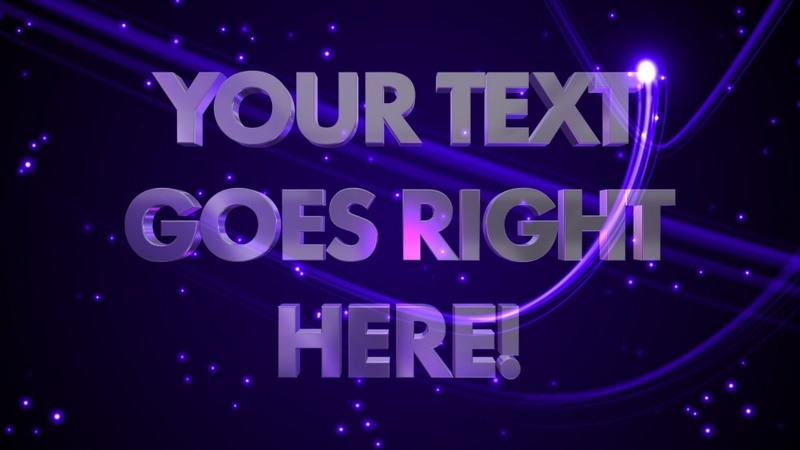 Your text rendered in chunky metallic 3D, surrounded by light streaks and sparkling particles. The letters fly around in 3D space in a variety of ways. The font used in this design is Futura PT Heavy. If you would like to use this in your own designs, it is available here.